The nation’s new nuclear regulator ignored earthquake risk and its own rules in approving the safety of the Sendai nuclear plant, said Kobe University professor and seismologist Katsuhiko Ishibashi. 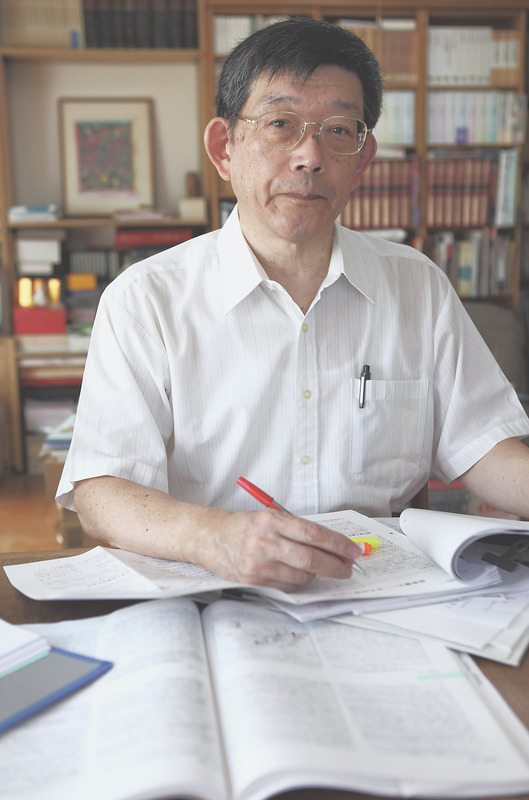 Ishibashi, well-known in Japan for books and papers on earthquake threats that later became reality, said he has filed a formal complaint to the Nuclear Regulation Authority challenging the legality of its decision. The NRA’s approval in September of Kyushu Electric Power Co.’s Sendai nuclear plant in Kyushu opens the way to restart two reactors at the station, possibly this year. They are the first of Japan’s viable reactors to pass the new standards introduced since the Fukushima nuclear crisis in 2011. All reactors in the country have been shut for safety checks for at least 18 months. Ishibashi has seen his warnings of earthquake dangers come true in devastating fashion at least twice in a country that accounts for about 10 percent of the world’s quakes. In a 1994 book “A Seismologist Warns,” he said building codes were putting Japan’s cities at risk. The following year, the Kobe earthquake buckled bridges, highways, and brought down buildings, killing more than 6,000 people. 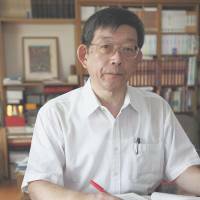 Then in 1997, he wrote a report in Japan’s Science Journal where he coined the term “nuclear earthquake disaster.” The paper was written about 14 years before the Fukushima disaster, yet reads like a post-mortem of what happened: A major quake knocks out external power to the plant’s reactors and unleashes a tsunami that overruns its defenses, leading to loss of cooling and meltdowns. Ishibashi says he does not want his forecasts to play out again. “I don’t want to experience that again, warning about a disaster and then seeing it take place and causing so much damage,” Ishibashi said at a media briefing in Tokyo on Monday. Amid pressure from Prime Minister Shinzo Abe’s government to process applications for reactor restarts to help the economy, the NRA is under pressure to give utilities a pass, Ishibashi said. That makes the watchdog less rigorous in examining the safety assessments of utilities’ reactors, he said. “Professor Ishibashi has his own opinions,” but members of the NRA’s committee made their own judgment, NRA Chairman Shunichi Tanaka said at a media briefing in Tokyo on Tuesday, according to a video of the briefing posted on the regulator’s website. The NRA recently lost a key member during a shuffle of top personnel. A Kyushu Electric spokesman said the company does not have a comment regarding Ishibashi’s statements. In the case of the Sendai plant, the NRA has allowed the operating company to ignore the risk of an earthquake in the tectonic slab underneath Kyushu, the seismologist said. Kyushu Electric also did not factor in the risk from a Nankai Trough earthquake, Ishibashi said. The feared Nankai Trough quake is expected to originate in a swath of ocean south of Honshu running from the Boso Peninsula toward Shikoku. It’s considered a high-risk area and has recently been constantly monitored, and played up, by the government. “Kyushu Electric was allowed to select their own criteria for quakes that could hit the plant and they ignored several as outliers — including a Nankai one,” Ishibashi said. “Taking the Nankai Trough earthquake into account is indispensable” in modeling the dangers facing the Sendai plant, he said. In terms of impact, a Nankai Trough quake would cause tremors and ground motion that would last almost ten times as long as Kyushu Electric’s estimates when it applied for its Sendai plant assessment, Ishibashi said. The government’s billing of the NRA, formed in the aftermath of the Fukushima meltdowns, as the world’s most stringent nuclear regulator is simply not true, Ishibashi said. The regulator feels beholden to government policy, which is pro-nuclear and supports restarts, he said. “The NRA certainly seems to be feeling the pressure from the current administration,” Ishibashi said.